The Galaxy Family Fun Park is one of Europe’s largest unique indoor theme parks with an area of 19,500 sq m featuring the latest attractions from the world’s leading entertainment companies. 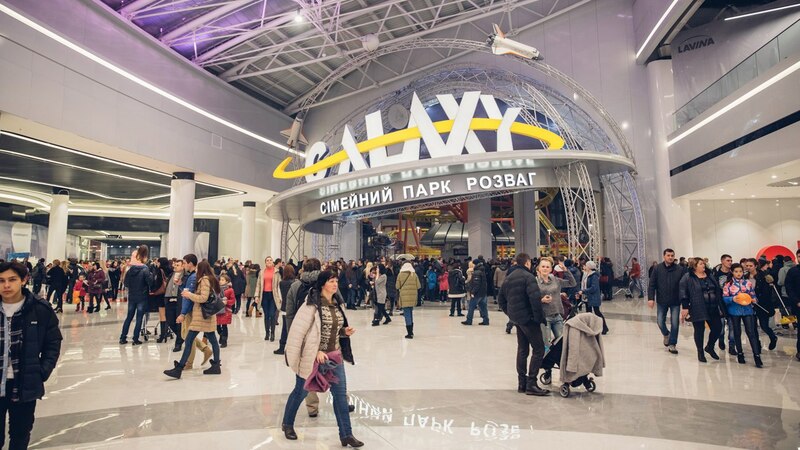 The park was launched in December 2016 in the new Lavina Mall and soon became one of the Kyiv’s favourite entertainment centres for citizens, tourists, and visitors of the capital. And this is hardly surprising, as it has a lot of great features. Seems too good to be true? See for yourself! 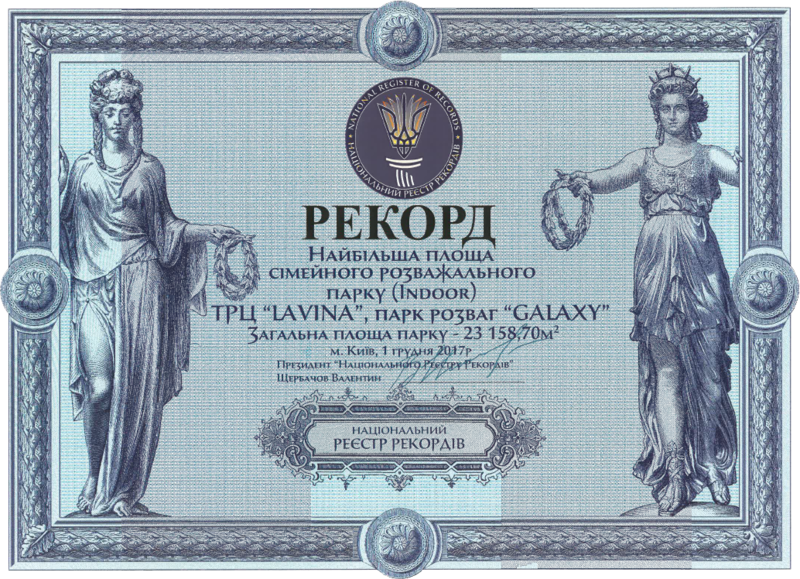 If you are travelling and visiting Kyiv, seeking to get a rush of ​​adrenaline and unforgettable experience with your friends, have a family weekend with your kids and loved ones, celebrate a birthday or have a corporate event, the Galaxy Park is the very place for you, as it is always full of children’s laughter, excitement, and fun. Each attraction is unique; they are unparalleled for Ukraine and intended for any age categories and visitors with any budget. Here you can experience world’s best-sellers: Suspended Family Coaster, Air Race, Pirate Ship, Disko 24, Midi Dance Party 360, 7-D cinema, theme chamber of horrors, mazes, trampoline unit, playgrounds, the latest gaming devices of various configurations and themes, as well as a special SPACE HUB attraction, an adventure HUB designed by Waiitopia specially for us for the first time in its history – a single project that encompasses all kinds of extreme sports and activities such as an adventure park, caves, free falling attraction QUICK JUMP, ROLLGLIDER, and interactive climbing facility with different difficulty levels and checkpoints. All these areas have the latest safety equipment – professional OnBelay systems designed by the industry leader. The safety of visitors and their good mood is the greatest concern of the Galaxy Family Fun Park’s team. All our attractions are absolutely new, designed by the international leaders of the entertainment industry, commissioned, assembled and tested with the assistance of highly qualified international experts and Ukrainian contractors, as well as serviced and operated by well-trained and qualified employees such as instructors, operators, and technicians. We are looking forward to meeting you at the Galaxy Family Fun Park! Address: Lavina Mall 6-D Berkovetska Str.